2007년 2월 28일 교육인적자원부 장관 명의로 ``2007년 개정 교육과정``이 고시되었다. 이 개정 교육과정의 전체적인 특성으로는 첫째, 수준별 교육과정의 약화, 둘째, ``태도`` 개념의 혼란과 모호함, 셋째, ``맥락`` 개념의 모호함 등을 들 수 있다. 국민 공통 기본 교육과정 ``문학`` 영역의 특성으로는 ``성격 및 목표`` 차원에서 국어의 교과 교육적 성격을 강조하고 그간 혼란스럽게 사용되어 왔던 개념을 국어교육학적 관점에서 재정비하였다는 것을 들 수 있다. 또 매체 관련 진술이 포함되어 있지 않고 ``성격``과 ``목표`` 항이 구분되지 않는다는 것도 특징적이다. ``내용 및 내용 체계``에서는 ``영화, 드라마, 비평``이 문학 장르로 규정되어 있다는 점이 주목할 만한데, ``내용요소의 예``에는 이와 관련된 내용이 포함되어 있지 않고 성취 기준 또한 제시되어 있지 않다. 그리고 제7차 교육과정에서 설정하였던 ``수용과 창작``을 ``수용과 생산``으로 재범주화하고 있다는 점도 주목할 만하다. 또 ``내용 요소의 예``가 명료하지 않을 뿐 아니라 성취 기준과의 연관성도 다소 모호하다. 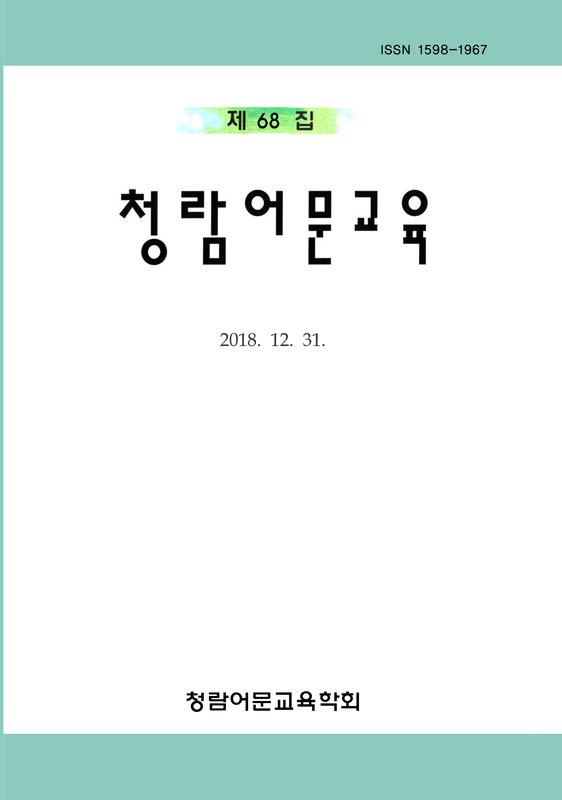 ``교수·학습 운용`` 부분에는 교수·학습 방법이 대폭 확장되어 있음을 발견할 수 있다. 선택 과목 교육과정 ``문학`` 영역에서 체제상 눈에 띄는 변화는 ``교수·학습 방법``과 ``평가`` 부분에서 하위 항목을 국민 공통 기본 교육과정과 통일하고 있다는 것이다. 한편 교수·학습과 관련하여 자료 선정상의 유의점을 제시한 것도 특징적이다. 또한 ``평가`` 항목이 구체화되면서 ``평가 방법``에 대한 진술이 상세해졌다는 점도 눈에 띄는 현상이다. ``2007 revised education curriculum`` was announced in Feb. 28, 2007 named by Minister of the Ministry of Education and Human resource development. It has following three characteristics: First, lessen of education by level. Second, ambiguous of the concept and level of ``Attitude``. Third, Ambiguous of the concept of the ``context``. The characteristics of the ``Literature`` area in the basic education curriculum of the common people are as follows: First, the strength of the educational characteristics in the ``characteristics target`` area. Second, re-maintenance of concept at the point of the Korean language education which was mixed used. Third, no inclusion of narration regarding the media and no division of the ``characteristic`` and ``goals. Special thing is that ``movie, drama and criticism`` in the ``contents`` and ``an example of the main point of contents`` is categorized as the literature genre. However, ``an example of the main point of contents`` does not include contents related to the above things and suggest standard of the achievement. The re-categorization to the ``acceptance and production`` from the ``acceptance and creation`` which was set at the 7th education curriculum can be observed. ``an example of the main point of contents`` is not only unclear, but also ambiguous to the relationship with the achievement standard. We can find that the method of teaching and learning in the area of ``teaching and learning operation`` is extended widely. Unique systematic change in the ``literature`` area of the education curriculum of the selected subject is the unification of lover items with the common education curriculum for the people in the area of ``the method of teaching and learning`` and ``evaluation``. The suggestion of the point to care about for the selection of the material related to the teaching and learning is also special thing. Detailed declaration for the ``evaluation method`` is remarkable phenomenon as ``evaluation`` item is materialized.